How Do I Get People To Speak Up In Brainstorming Meetings? “Anybody have any ideas?” . . . Anybody? . . . We tackle how to get people talking. We’ve all been in that brainstorming meeting: the one where you could hear a pin drop, and the white board of “great ideas” remains blank. It’s awkward for participants and downright excruciating for the person leading the meeting. 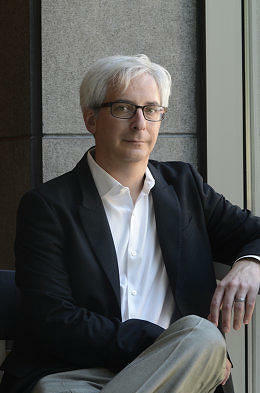 Psychologist Art Markman helps us figure out how to get people talking. I manage around 50 employees in a creative industry. The people I work with are very hardworking, smart, and creative. Yet whenever I try to get them to brainstorm in meetings: crickets. Any suggestions for methods to get the conversation and ideas flowing? I sympathize. Nothing is more frustrating than wanting to get your group to generate great ideas and ending up with a room full of people staring at their shoes. I want to address this question in two parts. First, let’s try to figure out some of the things that might keep people from speaking up. Once you figure that out, you can try some methods to get people talking. How Are You Defining The Problem? Generating ideas is all about allowing the statement of the problem to remind you of things you know about that might help you to solve that problem. Your problem statement might be too general. You might say, “We need to find a way to fix brainstorming.” Without identifying what is wrong with brainstorming, though, it is hard to find creative solutions. There might also be a lot of disagreement about what the problem really is. At a general level, people might agree that brainstorming needs to be fixed, for example, but they might disagree about why there is a problem in the first place. That means that before you can even begin to generate ideas, you need to make sure that you have a specific problem statement, and that there is general agreement about what problem you are trying to solve. People Are Afraid Of Criticism. One of the reasons why it is hard to generate new ideas is that there is a general mistrust of anything new. We prefer the devil known to the devil unknown. At some point, of course, it is important to explore potential creative solutions carefully to ensure that they will be of value. But if the criticism of new ideas starts too early, people start to clam up. If past brainstorming sessions have attacked every new idea, people eventually give up. Decades of research demonstrates that groups that brainstorm come up with fewer ideas than the individuals would have come up with had they worked alone. If your group tends to be hypercritical (or if a few individuals tend to criticize every new idea), it is important to remind everyone to think about new ideas and build on them before tearing them down. Lack Of Past Follow-Through. Another problem with brainstorming is that generating ideas for solving a problem is often the easy part. Taking the best idea or ideas and implementing them takes time, energy, and resources. In many situations, a group spends time generating ideas, and then those ideas are not implemented. When that happens often enough, groups stop putting much energy into generating new creative solutions, because they know those ideas will not be pushed forward. If the creative ideas you generate tend not to survive until they are implemented, it is important to end brainstorming sessions with a clear assignment of responsibilities and resources to make sure that the ideas ultimately see the light of day. How Do I Politely Tell A Coworker He’s Being Way Too Loud ? Is It Hurting My Career To Skip Happy Hour With My Coworkers? Lack Of Credit. Another problem with group idea generation is that the group’s ideas are often presented more widely in an organization by the group’s leader. The group leader may then get most of the credit for that idea, even though it was a group effort. People respond to the rewards around them, so if they feel like you have taken credit for their ideas in the past, they will be reluctant to share new ideas with you in the future. That means that it is important for the entire group to get credit and reward for successful solutions to problems that the group generates. I should point out that the typical method for brainstorming is actually a lousy way to generate ideas. The term “brainstorming” was coined by Alex Osborn in the 1950s and refers to a set of rules he suggested in which people in groups should generate as many ideas as possible without constraints or criticism, and that people should build on each other’s ideas. Unfortunately, decades of research demonstrates that groups that brainstorm come up with fewer ideas (and fewer good ideas) than the individuals would have come up with had they worked alone. To understand why this happens, it is first important to describe the two phases of creative idea generation. First, there is a divergent phase in which you try to come up with as many different approaches to a problem as possible. Then, there is a convergent phase in which you try to settle on one (or a small number) of solutions you are going to pursue. A given idea generation session may have many divergent and convergent phases. The problem with brainstorming is that when groups work together, they tend to promote convergent thinking. The first person in the group who says something contaminates the memories of everyone else in the room, and makes everyone think about the problem more similarly. That means that whenever you want divergent thinking, you need to get the people in the group to work alone. The individuals working by themselves will generate a wider range of ideas than they would if they worked together. When you are ready for the group to build on ideas and to evaluate them, then you want the group working together. The group dynamic will ultimately settle on one or a few good candidates. Have the group work individually to describe the problem to be solved, and then get the group together to agree on what the problem really is. A simple way to structure an idea generation session is to have the group work individually to describe the problem to be solved, and then get the group together to agree on what the problem really is. Then, have the group work alone again to generate ideas and have people get together to talk about the ideas that people came up with. Finally, end every idea generation session with a plan for who carries the idea forward, and a commitment of the resources to make sure the idea can be implemented. There are more elaborate ways of tweaking the idea generation process to make it even more effective, but this should get you started.